In the build up to last week's Japanese Grand Prix the Italian magazine Autosprint reported that some F1 drivers wanted Lewis Hamilton's driving to be raised as a matter for discussion at that event's drivers' briefing. I'm very glad that nothing came of that. Such a move would have been shameful, with the strong stench of a witch hunt. Furthermore, it would have been absolutely unnecessary. Yes, it can't be denied that Lewis Hamilton has been making contact with other cars too often over the last 12 months or so, but we're not talking about someone new on the scene, or someone unproven. Lewis Hamilton has been in F1 for close to to five years, and in that time proven beyond doubt that he's one of the sport's most accomplished performers. And up until the Italian race of last year (when his habit of tagging other cars began) he didn't make contact with other cars that often. It's very hard to think of occasions before that wherein he was involved in an incident with another car that was unequivocally his own fault. Hitting Kimi Raikkonen in the pitlane in Canada in 2008 is arguably the only one, and he's far from the only one to be caught out by that pit exit. Not bad for someone who in that time firmed himself up as F1's most exciting and willing racer and overtaker. F1 does have a previous when it comes to egregious behaviour by some drivers towards one of their own. One time before a few 'senior' drivers effectively banned one of their fellow number from a Grand Prix. This they did by coercing the organisers of a race, on pain of them withdrawing and forcing the event to be cancelled, not to accept that driver's race entry. The year was 1978 and the banned driver was Riccardo Patrese. This may come as a surprise, as those who recall Patrese's F1 career probably more associate him with him being the longtime most experienced F1 driver in history (before being usurped by Rubens Barrichello some years later), the first ever to start 200 and 250 Grands Prix, as well as one of the most pleasant, upstanding and gentlemanly figures in the F1 paddock. However, when he was new to F1, while he was certainly fast, he was also seen as something of an enfant terrible. 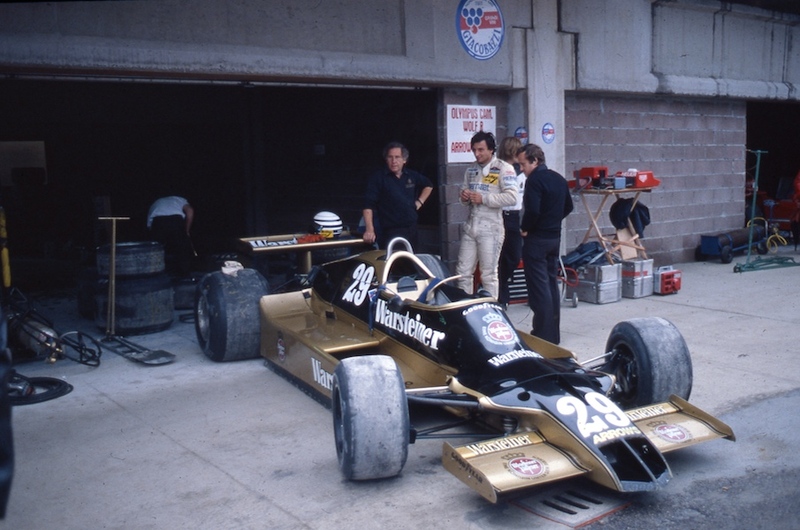 He debuted in F1 in the Shadow team in 1977, then when Jackie Oliver led a breakaway from Shadow to form the Arrows team for 1978, Patrese went with them. Things started well for driver and team, and in the third round, in South Africa at Kyalami, he led comfortably for much of the way, only to be denied victory by an engine failure with only 15 laps remaining. Elsewhere, Patrese was often fast and competitive, but also ruffled feathers with what were seen as erratic 'Formula 3' tactics when racing. 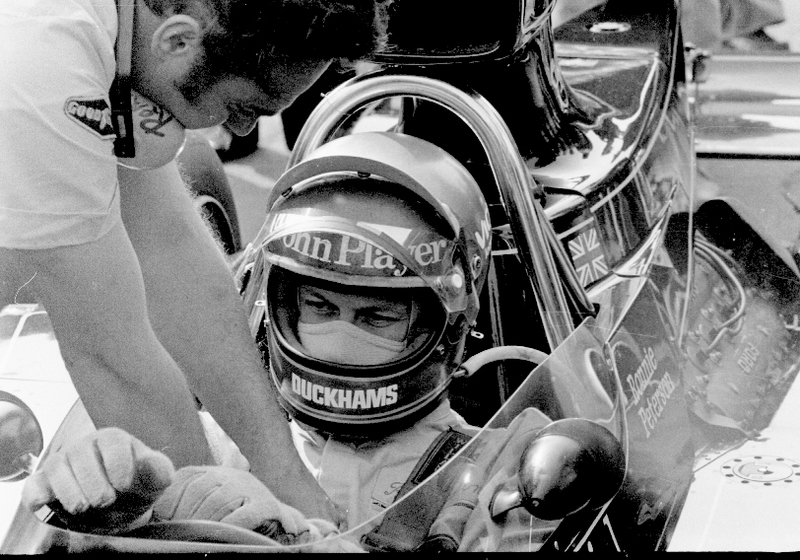 It can't be denied that he got involved in a few incidents that year, such as elbowing Alan Jones off the track in Sweden, clashing with Harald Ertl in Austria and with Didier Pironi in the Netherlands, and that he developed a reputation for 'weaving' as a car behind tried to pass (though perhaps it's not more than is often the case with an enthusiastic but raw young talent). It didn't help matters that Patrese, at that time, came across as rather rude and charmless out of the car, fitting the enfant terrible caricature conveniently. The common assumption though is that all this came to a head in the race at Monza that year, when there was a multi-car pile up in the run to the first corner, which eventually claimed the life of Ronnie Peterson, that Patrese was widely blamed for (at the time), and resulted in him being banned for the following race, the United States Grand Prix at Watkins Glen, at the request of his fellow F1 drivers. That's not entirely true however. For one thing, the decision was a rather imposed by a coterie of 'senior' drivers employing strong arm tactics - support for the banning was by no means universal. For another, these drivers had decided before the Monza race that Patrese should be 'taught a lesson' and banned from the following United States Grand Prix. This group, who Denis Jenkinson crisply summed up as 'a small group of the leading drivers who call themselves the Drivers' Safety Committee, or some-such name' was comprised of James Hunt, Jody Scheckter, Mario Andretti and Niki Lauda. You'd think one or two of this motley crew would know better than to go after a young driver in such a way. Hunt long had a reputation as a crasher (hence his 'Hunt the Shunt' moniker), and Jody Scheckter of course wiped out a lot of the field early in his F1 career at Silverstone in 1973. But hey. As Peter Windsor commented at the time: 'It could be said that some of the established drivers are in no position to do the judging...'. Given this, Patrese's 'contribution' to the Monza accident which led to Ronnie Peterson's death isn't really relevant. But Hunt's immediate and loud blaming of Patrese appears, on the best evidence, to be wide of the mark. Hunt claimed that Patrese, by 'barging' back onto the track having used the 'old' pit straight to clear cars at the start, had forced Hunt's car into contact with Peterson's, which is where the trouble started. But a series of pictures of the incident and its build up published by Autosprint (them again!) showed unequivocally that Patrese did not hit Hunt, was well clear of Hunt when rejoining the track as well as that Hunt (and Carlos Reutemann) were close to Peterson's Lotus in any case. And they also showed that Hunt and Scheckter (of all people!) had veered across the crowded track in a potentially dangerous fashion prior to the pile up being triggered. Moreover, as Jenkinson commented further: 'Perhaps he (Patrese) did need a kick up the backside, though whether it was done the correct manner is a matter of opinion'. The group of senior drivers effectively acted as Patrese's judge, jury and executioner, arbitrarily deciding that he was off limits and for him to be banned from a race, and used bully-boy and anarchic tactics to get their way. They essentially told the Watkins Glen organisers to refuse Patrese's entry, otherwise none of the F1 drivers would drive. It amounted to holding a gun to the race's head and threatening to pull the trigger. The organisers, perhaps understandably, ceded to their demands. And if the 'Safety Committee' had a general point on driving standards and safety, it was difficult to see how a kangaroo court run by the four drivers would help matters much. And some suspected that the 'Safety Committee's' overarching aims may have been less noble than heady matters of safety. As Autocourse went on: 'are the Safety Committee merely trying to preserve their jobs by frightening off new, young, raw talent?' Denis Jenkinson reckoned so: '(Patrese) was not the most popular driver in Formula One, especially amongst the reigning stars, for without doubt he was going to get in amongst them before long...which meant someone was going to be de-throned'. Others thought the ban was intended to be payback for the Arrows team more generally, after their messy divorce from the Shadow squad. It was indeed ironic that about the only one to come out of this episode with any dignity was Patrese, and many were glad when he bounced right back in his first race after the ban, taking fourth place in the Canadian race. Otherwise, the sequence of events are broadly looked back on as cringeworthy. Indeed, one driver, integral to Patrese's banning, said subsequently that it's the one act in their entire F1 career of which they are truly ashamed. Fortunately, Jean-Marie Balestre's accession as president of the FIA's International Sporting Commission, whose inactivity on matters of driving standards over previous years had contributed to the situation, at around the same time firmly put powers of driver discipline back into the hands of the governing body. He wasn't all bad. I'd like to think that in Lewis Hamilton's case the current crop of F1 drivers learned from history. I'm pretty sure that Rubens overtaking Patrese as the driver with the most starts does not count as usurpation. He merely became the man with the most entries/starts in F1. So, 'overtook', 'overhauled', even 'dethroned' in a sporting context can be viewed in a more neutral light. But 'usurped' has way too much 'stank' on it to be defined as anything other than an illegal or unjust replacement.